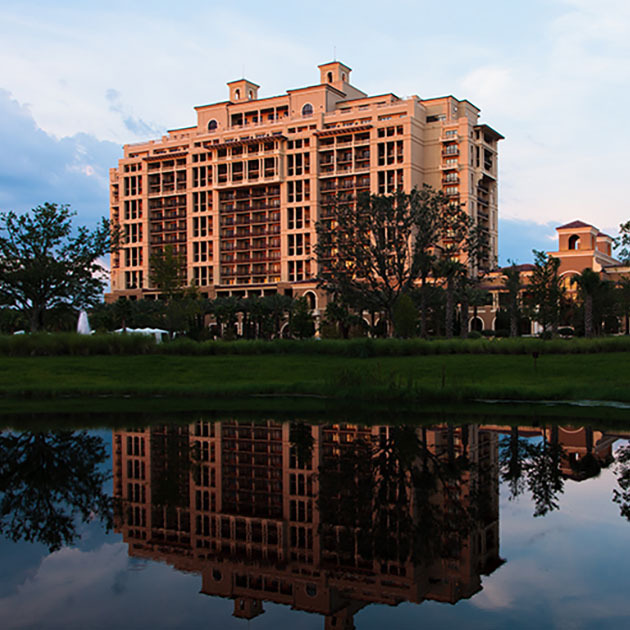 WE KNOW HOW TO MAKE AN ENTRANCE - RESTORING A LANDMARK PROPERTY FROM THE GROUND UP. 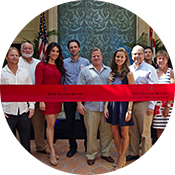 Silverstein Properties is a privately-held, full-service real estate development, investment and management firm based in New York. 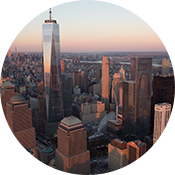 Silverstein has developed, owned and managed more than 40 million square feet of office, residential, hotel and retail properties including the new World Trade Center. For the past eight years, Silverstein Properties has been named one of the "Best Places to Work in New York City" by Crain's New York Business. The Plan: IEX’s New Offices at 3 World Trade Center When Brad Katsuyama and Ronan Ryan founded independent stock exchange firm IEX Group in 2012, they wanted to create a more transparent alternative to the conventional U.S. stock market. Downtown Leasing Ends Best Quarter in Eight Years Pressure is on for Landlords to amenitize, and compete for Tenants after Downtown New York City has it's best quarter in eight years for leasing. Silverstein Properties, Arden Group & Migdal Ins. 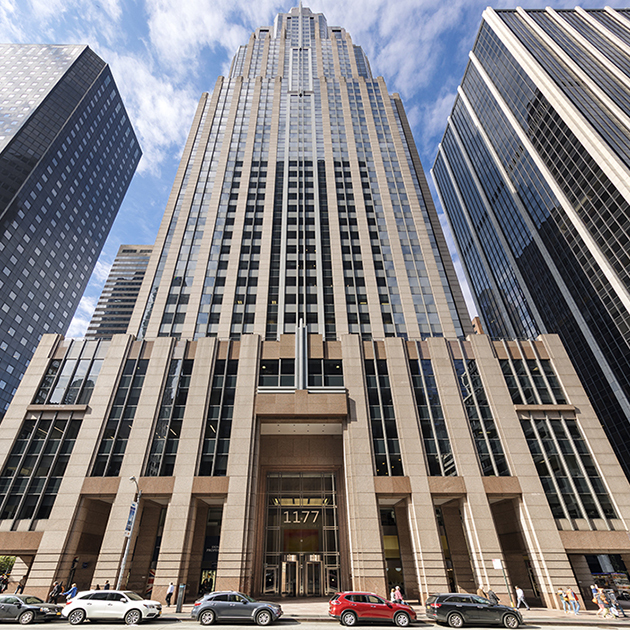 Partner To Acquire 1735 Market St. Silverstein Properties, Arden Group, and Migdal Insurance, today announced that they have entered into a partnership to purchase and manage 1735 Market Street, a 1.3 million sf, 54-story, trophy Class A office building in Philadelphia. ULI NY to Honor Larry Silverstein with Leadership Award The Urban Land Institute will present its inaugural Visionary Leadership in Land Use Award to the chairman of Silverstein Properties at its April 4th gala. Citi-Backed Mortgage Startup Takes Space at 3 World Trade Center Better.com, the home-financing startup backed by Citigroup Inc. and other major financial firms, plans to move into 3 World Trade Center as it looks to grow beyond its current office in a neighboring downtown Manhattan skyscraper. Better.com takes 44,000 s/f at 3 World Trade Center Silverstein Properties Chairman Larry Silverstein announced today that the company has signed a lease with Better.com for 44,000 square feet of office space on the 59th floor of 3 World Trade Center, with the option to expand to two additional floors. Silverstein Capital Partners’ Michael May on Why He Likes Big, Complicated Deals Michael May has headed up Silverstein Capital Partners—Silverstein Properties’ lending platform—since its launch in September 2018. Spirits Giant Diageo Moving North American Office to 3 World Trade Center Diageo—the spirits conglomerate that owns brands like Smirnoff, Johnnie Walker and scotch distillery Lagavulin—will relocate its North American offices from Connecticut to 3 World Trade Center, the Empire State Development (ESD) announced yesterday. 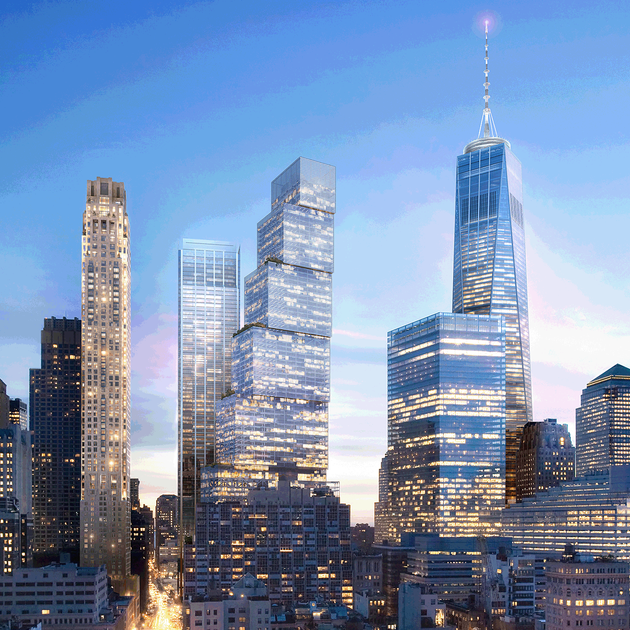 Hudson River Trading Moving to 3 World Trade Center Silverstein Properties Chairman Larry Silverstein announced today that the company has signed a lease with Hudson River Trading (HRT), a pioneer in the fintech industry, for 136,000 square feet of office space at 3 World Trade Center. Beyond The Bio: 16 Questions With Real Estate Legend Larry Silverstein This article profiles a man in commercial real estate who profoundly transformed our neighborhoods and reshaped our cities, businesses and lifestyles. 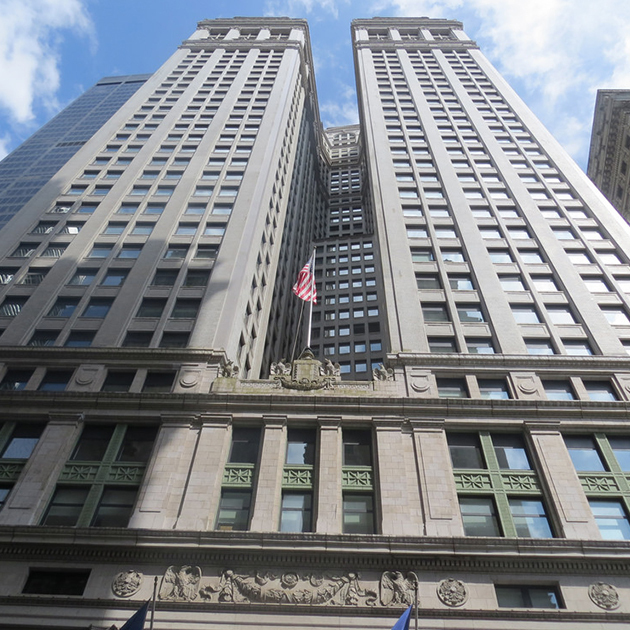 The Plan: Silverstein Revives 120 Broadway’s Legendary Bankers Club As part of the $50 million renovation of the Equitable Building, Silverstein Properties has revived the Bankers Club at 120 Broadway. 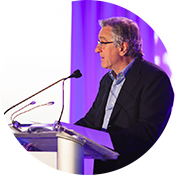 Silverstein to be honored for Visionary Leadership Urban Land Institute New York announced Larry A. Silverstein, chairman of Silverstein Properties, will be the first recipient of the organization’s Visionary Leadership in Land Use Award. FiDine: Inside Lower Manhattan’s Burgeoning Restaurant Scene Can Lower Manhattan really turn into a fine dining destination? Too late—it already has! The New York office has a millennial makeover - Financial Times For Joseph Artusa, removing the green marble that has long obscured the soaring entrance of the Equitable Building in lower Manhattan is an attempt to make amends for an architectural sin committed by the property’s previous owner, the late Harry Helmsley. 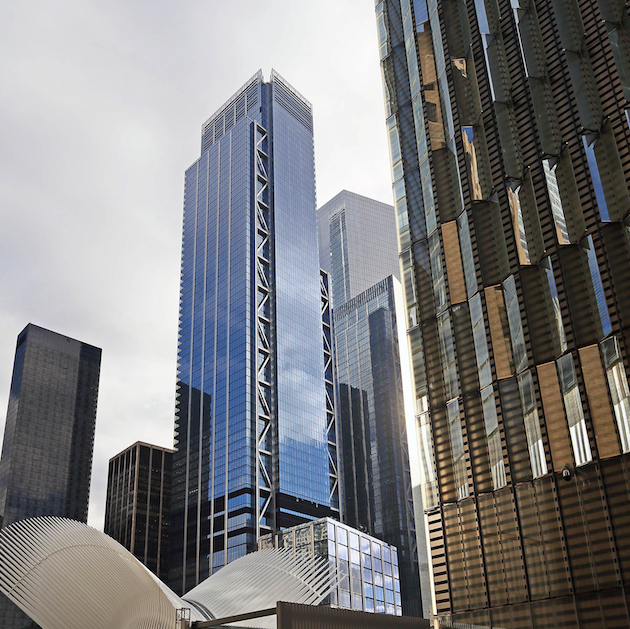 Silver City: Q&A with Silverstein Properties’ Marty Burger Commercial Observer sits down with Silverstein Properties’ Marty Burger to discuss forging a gleaming World Trade Center in Downtown Manhattan. 17 years after 9/11, Financial District having a residential renaissance Talk about a Wall Street boom. Seventeen years after the 9/11 attacks, the Financial District has not only rebuilt itself into a major destination for retail, work and play, it’s also becoming one of the hottest neighborhoods to call home. In Lower Manhattan, everything old is new again Six months after the World Trade Center tragedy, Los Angeles resident Carmine Montalto decided to move east and settled – surprisingly – in Lower Manhattan not far from Ground Zero. The area had barely begun its recovery and deals were abundant. 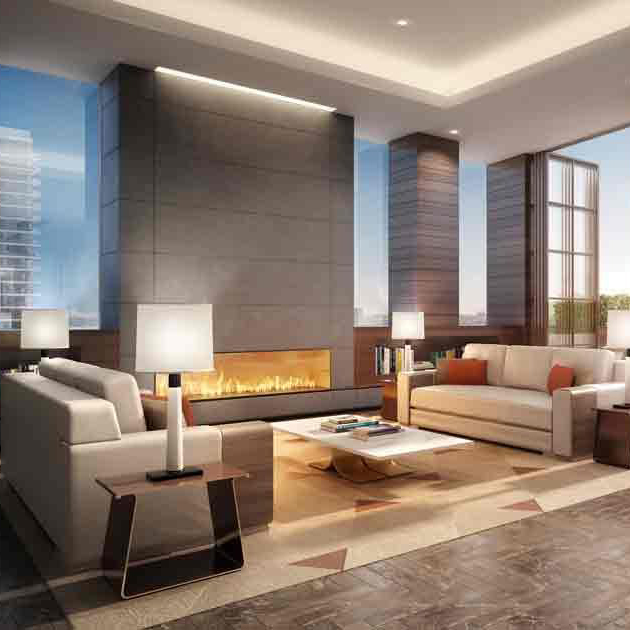 This Tower Boasts NYC’s Tallest Terraced Penthouse Downtown Manhattan’s 30 Park Place – a 82-story tower designed by architectural powerhouse Robert AM Stern – has recently become home to the tallest terraced penthouse in New York City. At 120 Broadway, the old Equitable Building becomes new again When it opened in 1915, the Equitable Building at 120 Broadway changed the real estate landscape of New York City — and the country. 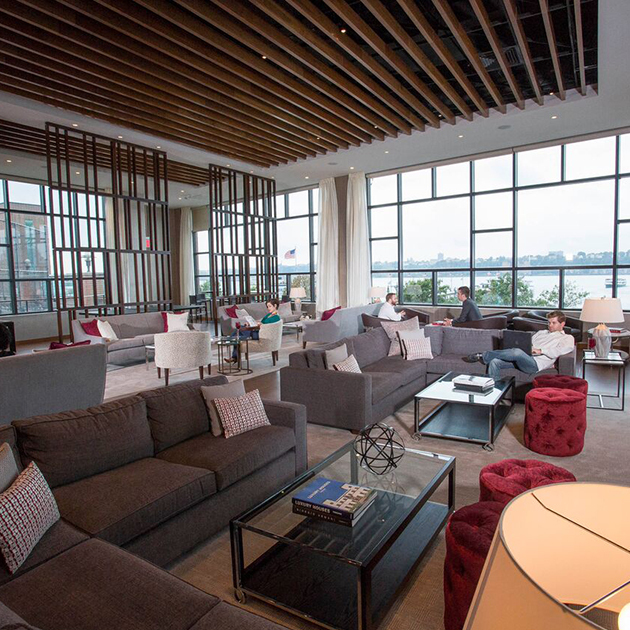 Seeing the Soaring 3 World Trade Center, From Inside Out Sweeping views, from floor-to-ceiling windows and three open-air terraces, for now go unseen. With the building currently 38 percent rented, many of the floors remain barren and silent. Resiliency marked as New York Cityʼs greatest strength For all of us who remember the devastating attacks and the aftermath of September 11, 2001, last week’s opening of 3 World Trade Center is yet another sign of New York’s remarkable strength and resilience. Silverstein inks ground lease for massive Astoria dairy plant site Silverstein Properties acquired the ground lease on a seven-parcel Astoria development site in what marks its first major outer-borough expansion, property records filed with the city Wednesday show. 3 World Trade Center Opens: Here’s a Look Inside With the Opening of 3 World Trade Center, New Yorkers get an amenity they've long craved: Public Space around the World Trade Center. IEX CEO on Move to 3 World Trade Center Coinciding with the opening of the new 3 World Trade Center, Brad Katsuyama, the CEO of IEX sat down with Bloomberg for a discussion about his company's growth, and their recent move to the WTC 3 Building. Get an Exclusive Look Inside 3 World Trade Center Earlier this week, NBC News Correspondent, Andrew Siff, attended a tour of the newly completed 3 World Trade Center in Lower Manhattan. He was impressed with what he saw. 3 World Trade Center finally comes into fruition after many obstacles CNBC's Sarah Eisen sits down with Larry Silverstein of Silverstein Properties to discuss the boom in business and real estate in lower Manhattan and 3 World Trade Center. 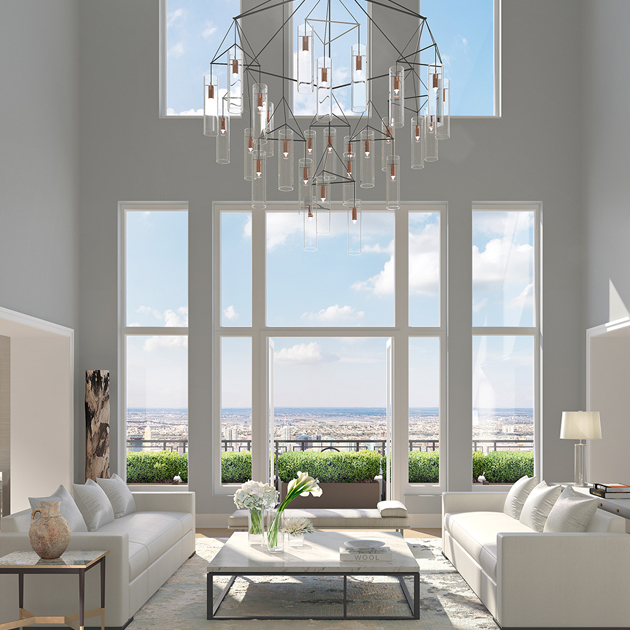 30 Park Place Unveils Penthouse 82, New York City's Tallest Sky Perch In New York, scoring the best view is golden—especially along the Hudson River, East River or Central Park. But what about downtown Manhattan, the heavily commercial district that’s trending more residential each year? WTC Site Speaks To Today's Office Building Demands Time to complete the plans and the specifications for the World Trade Center buildings was extremely limited because Gov. George Pataki had already announced when the world would see their designs. Drawing a Younger Crowd to Lower Manhattan On a recent April morning, the developer Mark Gordon stood in a just-finished guest room in his Moxy Downtown hotel in Lower Manhattan, plaster dust powdering his black pants. 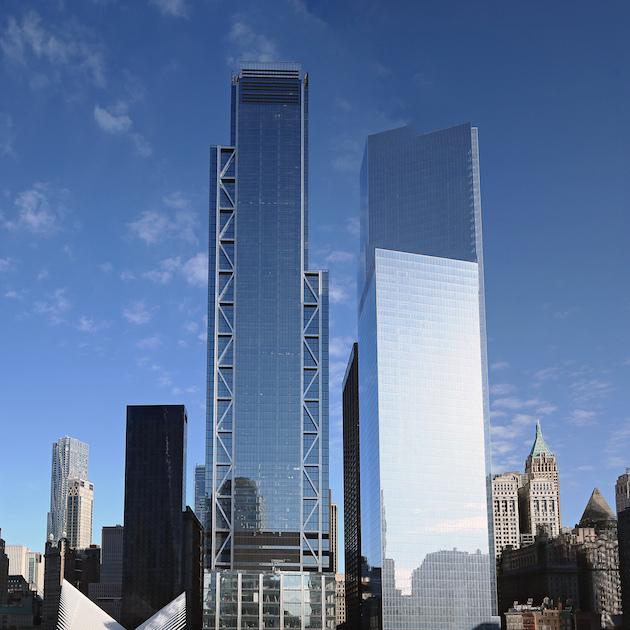 New 3 World Trade Center to mark another step in NYC's downtown revival It's finally happening. More than 16 years after the World Trade Center tragedy, a major component of the rebuilt WTC site is getting ready to open. In early June, 3 World Trade Center will be opening with lead tenants including music streaming firm Spotify and advertising giant GroupM. 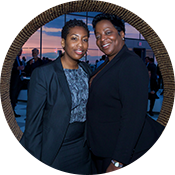 The Power 100 It’s safe to say that Silverstein Properties has had its hands full. 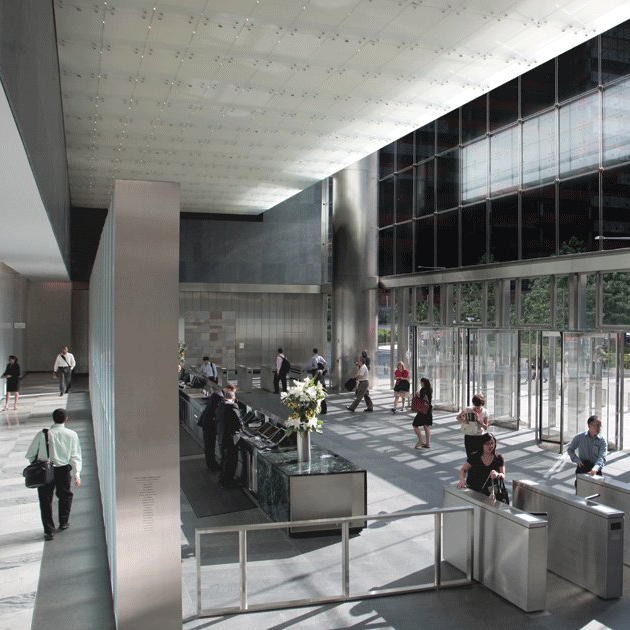 Silverstein signed roughly 1.2 million square feet worth of office leases across the city last year with most of its wheeling and dealing at the World Trade Center, where it fully leased both 4 and 7 World Trade Center. Renderings Revealed For Outdoor Space As Exterior Hoist Removed From 3 WTC With each passing day, the World Trade Center is getting closer to completion. At 3 World Trade Center, major progress has been made toward completion, and we now have new details on the Financial District’s latest outdoor terrace. Equitable Building, Spur for Modern Zoning, Will Get a $50 Million Face-Lift In 1915, when the office tower now known as the Equitable Building was completed at 120 Broadway in Lower Manhattan, it boasted all the latest conveniences — bad news for the owners of nearby office buildings, which were instantly rendered obsolete. Rooftop Views & Interior Update on Supertall 175 Greenwich Street, aka 3 World Trade Center, As Opening Day Approaches Last week, YIMBY was taken on a tour of 175 Greenwich Street, aka 3 World Trade Center, visiting the rooftop, the terrace, and the lobby. Under Construction: Inside the Nearly Completed 3 WTC Light is a significant element throughout the Roger Stirk Harbour + Partners-designed 80-story 3 World Trade Center. 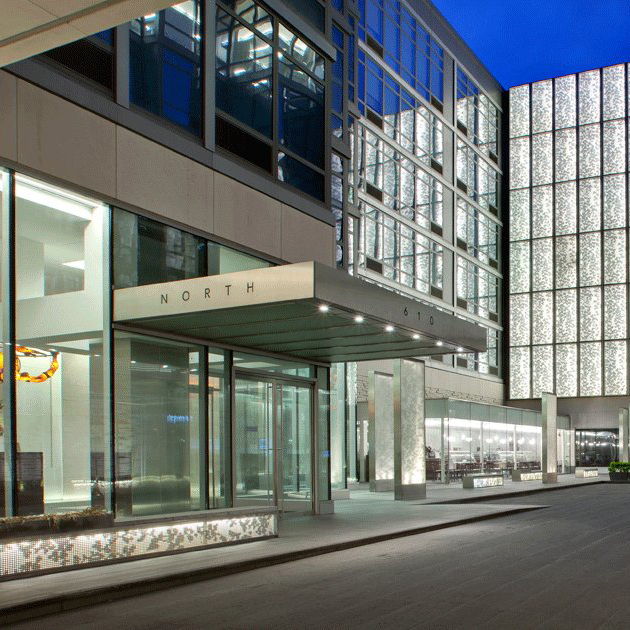 Featuring dizzying 60-foot ceiling heights with a glass walled entrance, natural sunlight floods the lobby of the skyscraper. Manhattan Office Landlords Turn Staid Lobbies Into Hip Hangouts For the past century, Manhattan office lobbies have served as little more than sterile passageways between the sidewalk and the desks above, with building attendants shooing people along to discourage loitering. Now some landlords are embracing it. Silverstein Properties' 30 Park Place ranks 4th in Top 10 Best-Selling NYC Buildings for Q1 in 2017. The performance of NYC’s residential market in the first quarter of 2017 was heavily impacted by closings at new condo developments which propelled median sale prices at record highs in many parts of the city. We thought we’d take a closer look at the most popular NYC new buildings in Q1. Common office spaces aren’t just for employees anymore They may not be riding around on hover boards just yet, but clients today are finding that an increasing number of companies are designing common spaces in their offices as less-formal places to hold meetings. 23 Breathtaking Office Views from Around the World To discover the most enviable workaday vistas on the planet, Architectural Digest searched (mostly) high and low, and 4 World Trade Center tops the list. Sneak peek at SNY’s new World Trade Center home SNY is on the move. The TV home of the Mets will begin broadcasting from a new set of studios at 4 World Trade Center on Saturday night, with Geico SportsNite batting leadoff at 10:30 p.m.
Spotify Is Moving Into 4 World Trade Center Spotify’s mushrooming work force will soon be streaming to Larry Silverstein’s Four World Trade Center, Gov. Andrew Cuomo announced Wednesday afternoon — and the deal is even bigger than it sounds. 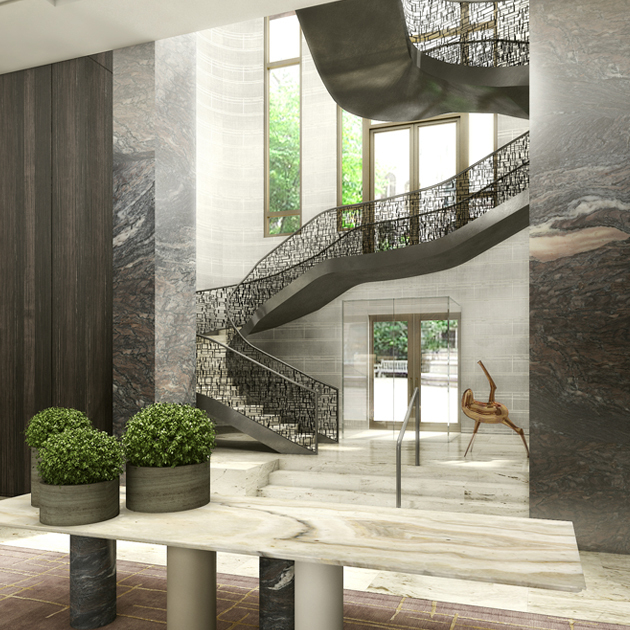 Take a tour of the swankiest new condo building in New York City's Financial District Reaching high above them is 30 Park Place, a luxury condo development built by Silverstein Properties and Robert A.M. Stern Architects to contribute to the revival of Lower Manhattan. 15 Years After 9/11, Larry Silverstein Finally Recreated WTC It has taken the city 15 years to semi-recover. But if there was ever a moment for Silverstein to take a victory lap, it is now. 3 WTC Marks Milestone With Ceremony A topping out ceremony at 3 WTC marked the completion of the $2.5 billion building’s concrete core. 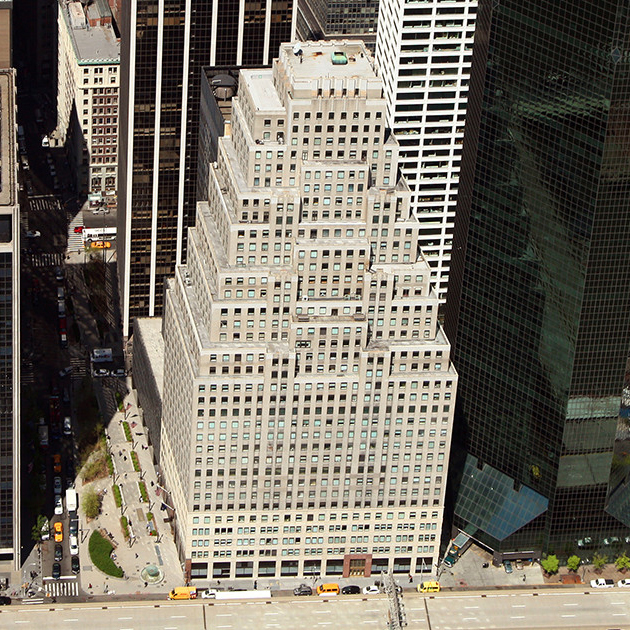 Another Financial Tech Firm Heads to 4 WTC Larry Silverstein’s World Trade Center properties are quickly becoming a hub for the financial technology sector. Park Matters: Planting Green Spaces Into Projects Every landlord likes a piece of property next to a park. But it’s rare that developers take it upon themselves to actually make a park a part of their plans. 5 Favorite NYC Parks and Why They’re a Big Deal The real estate industry benefits when buildings are in close proximity to a blossoming park. Skyscraper at Trade Center Rises From the Inside Out If you think Santiago Calatrava’s transportation hub and shopping mall looks like a bird (or a stegosaurus), you might find 3 World Trade Center next door reminding you of an upside-down Popsicle, with the stick at the top. 3 WTC Reaches Supertall Territory 3 World Trade Center, located at 175 Greenwich Street, has reached supertall height. 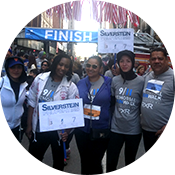 7WTC: Proving the Ground Zero naysayers wrong Of the many turning points in the rebirth of downtown Manhattan after 9/11, none were as game-changing as the opening of 7 World Trade Center on this date 10 years ago. NY State of Mind: Larry Silverstein Interview World Trade Center developer Larry Silverstein adheres to a principle that has guided his epic career since he bought his first small building for less than $1m in 1957. Downtown taking on Billionaire's Row Lower Manhattan has been on the rise for years, with the population more than doubling since 2001 and the area formerly known as the Financial District increasingly staying alive after the markets' closing bell. Bjarke Ingels' billion-dollar designs He is the architect of the moment, a starchitect, designing everything from skyscrapers to an NFL stadium. But, as Morley Safer discovered, young Mister Ingles' designs, can be inventive, can be provocative and are anything but boring. Santiago Calatrava’s "Oculus" is now open! The Oculus, which is the name that has been given to the central space in Calatrava’s sprawling complex—the first sections of which open to the public on March 3. BISNOWTV: One-on-One with Larry Silverstein In this installment of BisnowTV, Larry Silverstein gives EisnerAmper’s Lisa Knee a tour through his new World Trade Center complex. 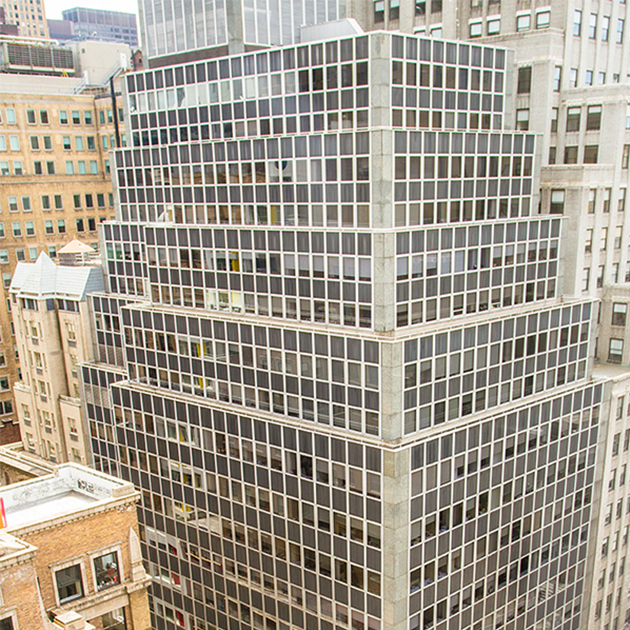 Droga5 doubles down on 120 Wall St. In the latest affirmation of downtown’s allure to creative and media firms, red-hot global strategic agency Droga5 is expanding by 110,000 square feet. Checking In On the Quickly Ascending 3 WTC New images taken by Tectonic reveal that 3 World Trade Center is rapidly climbing towards its full height of 1,079 feet. 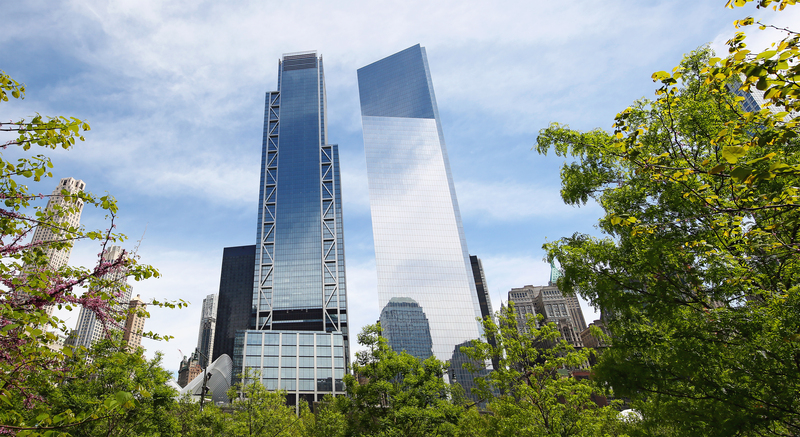 GroupM snatches another 170K sf at 3 WTC At the very end of 2015, GroupM completed a lease for a 170,000-square-foot expansion at the fast-rising tower. Lower Manhattan- Downtown Comes Up Aces The Downtown Alliance nailed it with a report on the district’s current healthy state and a future likely to see significant economic growth. Performing Arts Center Architect Chosen The center is expected to announce that REX, led by Joshua Prince-Ramus, will lead the project.